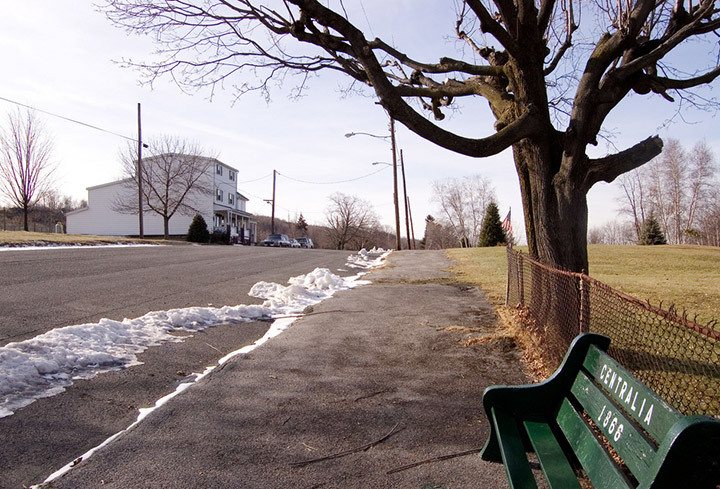 John Lokitis Jr. was one of the last remaining residents in Centralia PA. 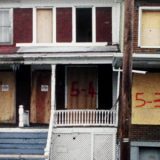 He lived there from birth until 2009, when he was evicted by the Commonwealth of Pennsylvania. Lokitis lived next to his parents on Park Street, near the mine fire burn zone. This was also just a few hundred feet west of the Centralia 1866 green bench, the Veterans’ Memorial, and the Centennial Vault time capsule. John Lokitis Jr. was known as a vocal spokesman for Centralia Pennsylvania’s remaining residents. He fought for the town to have its ZIP code reinstated when it was revoked in 2002, even putting the ZIP code, 17927, on one of the town’s green benches. Most notably, he appeared in the 2007 documentary film, The Town That Was. The documentary chronicles the history of Centralia and tells the stories of its remaining resident. Interviews with Lokitis are featured heavily in the movie. John Lokitis cared deeply for Centralia PA and its people – both past and present. He would often be found painting the town’s benches, mowing now empty lots, and tending to the cemeteries within the borough. He also refurbished many of the town’s old Christmas decorations at his own expense, and put these up at the intersection of Route 42 and 61 for the holidays. To some, Lokitis’ passion for his hometown defy logic. For example, he would commute approximately 120 miles round trip to his job in Harrisburg, Pennsylvania. However, when one considers the pride that is often felt for one’s birthplace, Lokitis’ connection to Centralia makes sense. Sadly, in 2009 the Commonwealth of Pennsylvania served John Lokitis Jr. with an eviction notice. Years earlier, in 1992, the state had taken his property via eminent domain. Now, as the owner of the parcel, it was asking him to leave Centralia Pennsylvania forever. With a heavy heart, Lokitis complied with the order. Though, he didn’t go far and still leaves nearby. His home and his parents’ house were later demolished in 2010. The eviction of the John Lokitis brought to a close one of the last chapters in Centralia’s story. Today, the only clear reminder of his legacy there is the foundation of the home on Park Street where he once lived. Does he ever go back and visit? I can’t imagine him completely breaking his ties with Centralia forever. He almost certainly does. He has family buried in one of Centralia’s cemeteries. Many former residents/families live in the towns nearby. When is next cleanup would love to help? Hi Patrick. The next cleanup day hasn’t been schedule yet. Follow us on Facebook and we’ll be sure to post the date when it is announced! John Lokitis lived in his grandparent’s home on west Park St, while his parents live over at 316 East Park St still to this day. The two houses beside Lokitis’ were both empty. He has since welcomed a beautiful baby boy with his girlfriend in Milton, Pa.
Hi Natasha. That’s great to hear, and congratulations to the Lokitis’! I know john and his family well.he has recently suffered through the loss of a parent.i also am from Centralia and was sorry I missed the clean up.i will look forward to spring. Hi Cathy. Thanks for your message and checking out the site. Very sorry to hear the news of John’s loss. Many condolences to him and his family. That would be great if you can make it to the 2015 cleanup effort. We’ll be sure to post it on the site and Facebook page. Would love to hear about centralia , if you wouldn’t mind .. I am so sad about Centralia..but I saw a video in youtube that there is a time capsule buried in the church in the year 1866 to be opened 2016..Do you have any idea when is the exact date of the capsule’s opening? What beautifully haunting place I just watched the documentary…. It reminds me of my small hometown in ga. Such history and natural beauty even in the midst of a coal fire. To those who were residents there I’m a truly sorry for the loss of your town and its history. It is very unfair how things went. To those who held out I stand with you. I would not abandon my roots either given a choice. This is a place I would love to see and learn more of! I just ordered the DVD and watched the documentary. What a sad story–I feel so badly for the former residents of Centralia. I would love to visit the site someday. What a compelling story; my heart goes out to the residents who never wanted to leave their homes but we’re forced to do so. If possible, would like to speak to any residents who remain to this day and to John. I am working on a documentary film with many similarities. Thank you! I have followed the goings on in Centralia since I was 10 years old. (I’m 44 now and visit every chance I get, usually twice to three times a year) I am wondering, in the path of the fire, is Ashland possibly next or is that town safe? I would like to commend John for his incredible dedication and loyalty to his home and his hometown. You don’t see people like this anymore. I’d like to meet him someday just to shake his hand. I’m hanging on to my own family home right now-different circumstances, but I understand the feeling that you may lose something very dear to you due to circumstances out of your control. My own family home is in Coal Township. John, please know you are in my prayers that you enjoy your new home and never forget the memories of your old home. God bless and take care, Patrick O’Neill, Coal Township , pa.
Great documentary, and well worth a watch! The town looked like many small towns, back in the 60’s; inviting, and warm. I especially loved the film of the Independence Day Parade, that showed what the people were like.John did a wonderful job, of recounting for us the people, who made the town what it was. I was made angry, when he and the 2 other men, told how much it would have cost initially, to stop the fire in 1962. The Commonwealth could have paid, but how about the residents? They really could have ‘passed-the-hat’ and come up with the small amount. I know, that the amount was alot, back then, but they could have collected what they could, and shared the cost. That’s neither here, nor there, now. Sidewalks that went nowhere in particular. I never go back to where I was actually raised anymore, since no one is left to remember me. Thing is, if I wanted to, I could walk the sidewalks up to the elementary school I attended in one of the places, or stand in front of the house my parents worked so hard for. One time, the family asked us in, and memory came back, much like a flood. I can use googlemaps to visit my old Copacabana neighborhood in Rio, even walk the streets. I’m usually left saddened, since no one alive now, remembers even having lived there. Still, I can do these things, and people like John cannot. My heart, and my prayers go out to the people of Centralia. I hope y’all get together for reunions, other than clean up day. If you need a place to gather, I have enough land for tent camping. Is there any way we could get in touch with him. We are doing a project on Centralia. I too commend John on what he has done. How said for that Town. I live in a Village smaller than Centralia, but, smaller do to just the way it is, not because of any circumstance that Centralia went through. Shame on our Gov’t to allow that to happen and pin people against each other like that. Similiar things are happening to our town now with Fracking coming to our area. I too would stick it out like John did. My prayers go out to evryone from there, and who is still there. I first heard of Centralia on Modern Marvels Engineering Disasters and was fascinated. I loved the documentary “The Town That Was.” I live on a family farm we’ve owned since 1836 and I know how I would feel if the government tried to force me off. I feel terrible for the die hard residents of Centralia. I remember going up Rt 61 with my father. He had a small trucking company and we hauled coal out of that region. I remember going through town and father telling me 1 day this will all be gone and he told me the story. I responded, cant it be fixed? He said, probably not the government will take the cheap way out. I guess he was right. I have seen the documentary, with my children, and they asked if we go see the town 1 day, being sentimental as I get older I responded yes!!! Such a shame the close knit towns of days gone by are just that>>>>>GONE!!! WELL SAID ROBB !! AND THANX FOR SHARING YOUR STORY AND TAKE YOUR KIDS THIER ! I will be flying into Harrisburg late Sept, and was considering going through Centralia on my way to State College. Is there a safe way to visit what is left of Centralia? I’ve seen the movie, “The Town that Was.” The AAA book doesn’t list Centralia, but says that the fire is visible from Ashland. I recently visited Centralia with my son. I noticed that there is still one home remaining. This home looked as though it was occupied. 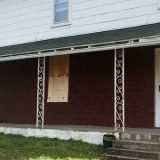 Out of curiosity, why was Mr. Lokitis forced out of his home, and eventually demolished, and the other home is still standing occupied. Also, does Mr. Lokitis ever do personal tours of the town. If so is there a way that he can be reached. My son took particular interest in the history of Centralia, which is completely out of character for him, and I would like to bring him back for more personal research. Thank you. Sherri I thought the same thing when I read he was evicted in 2009 but yet now in 2016 people say that you can visit but don’t bother the residence. I was truly moved by the documentary as well, those poor people. What a sweet little town it once was. I thought I read that Mr. Lokitis was finally forced from his home in 2009, is that correct? I too watched, ‘The Town That Was’, and could empathize with him. I am living in the city I was born and raised in, I am second generation, our son is third. My husband is not from here, I can only imagine how devastated I would be, if all the physical locations of my memories were gone. Watched The Town That was bu chance and was moved and saddened. Thanks from England where are coal industry has been shattered too. My grandparents and mother were all from another small town similar to Centralia. Jersey Shore, Pa. at one point had a population of about 2,000 in the late 1960’s but due to unemployment the population has dropped to just over 500. My grandparents and mother are all buried there and up until about 30 years ago a Greyhound bus would make a flag stop in Jersey Shore. It’s been about 30 years since I was last there and 50 years ago my grandmother was the tax collector of the town. Currently I live in Minneapolis with all the conveniences of city living (public transit, airport, Amtrak) but at 62 years old I STILL MISS that small town feel of Jersey Shore, Pa. It hurts me to see how the government didn’t give a darn about Centralia, kicked everyone out, & leveled the town. What a truly unique story. I live in Calgary Ab. Canada and just finished the documentary about what happened to John and his town. I hope he is doing well and can’t help but wonder what’s next for that town. John would make an excellent mayor. You can see and feel his devotion to the place he calls home. Watching him in the documentary The Town That Was showed a man who, like me, never wants to forget his home, the memories of better days, and how nostalgia can make us never forget. John, I hope you took that green park bench with you…if they are going to level everything, you deserve that bench in your back yard. I have just watched the documentary about your beautiful town. John your passion and love for your town touched me greatly, wish there were more passionate people like you. Sorry to hear you were forced to move. Sending our love from New Zealand a few years later. What prompted the eviction notice? If the state technically owned all of the properties anyway, why evict John and not the others living in the town? I read there were 10 people left. I don’t understand. I visited Centralia recently, not knowing the full story. Then I listened to the Radiolab episode and watched The Town That Was today. I wish John all the best. It must have been hard to leave. This is only my personal opinion, but my guess was his age had a lot to do with it. He was only in his 30’s at that time and when the coal was still worth a lot of money, (today it is much cheaper to import it from China at pennies on the dollar ) and the others were senior citizens. They basically did not want to be held up by a person who still had at least another 40 years to live. My husband and I just watched The Town That Was, and what a sad story! John deserves an award for his dedication to that town after all that happened. He truly loved his hometown, and he went above and beyond to keep it alive the best he could. I would love to meet him and shake his hand one day. What a remarkable guy! Hey anyway I could help out with clean up day this year? Or help out with anything? I was hoping that at the end of “the Town That Was” there was a happy ending like the state turned the town into a historic park or state game lands and hired John as the caretaker but unfortunately that was not the case. A great documentary. My great grandparents settled in Oliphant, PA and were a mining family. I now would like to visit there and learn more. I was just in Centralia today (1/21/2017) and took many photos. It is an amazing yet somber place to visit. I plan on returning. I grew up with john lokitis jr and worked with him in Centralia with the boro. John and I would take care of sweeping the streets and mowing and taking care of the lawns. That town always has and always will mean everything to him. And he would’ve stayed there until the very end if he would’ve been allowed to. I’ve just been watching ‘The Town That Was’. It’s almost unbelievable that was allowed to happen, was any person from the council held responsible ? John Lokitis seems a honest guy looking after the place that he knew. Such a shame that he was evicted, was he compensated ? How can the state just taken ownership of someones property ? I took the kids about 8 months ago after we watched the documentary. Very moving and we had to go. When we arrived, we were very much confused as to what we were looking at, as there is virtually nothing left. Just overgrown vegetation. We walked the graffiti highway, which is spewed with profanity and not child friendly. We asked some guy who was selling hot dogs and water, apparently trying to capitalize on the misery the Centralia people suffered. He and his wife were very abrupt and not very talkative, which is surprising, as nice as they were when I spent $23 for 2 hot dogs and two waters. In any case, we continued our search and found remnants of sidewalks and stairs and trash but little else. It was said and depressing, but if you hadn’t seen the movie, you would pass by on 61 you wouldn’t even know that anything had been there. Maybe best to leave the past behind. John Lokitis certainly seemed like a great guy. It’s too bad he couldn’t have stayed to oversee the recreation of Centralia. What a wonderful story that would have been. My father-in-law grew up in Shamokin. Every year since I turned 14 we have been driving through Centralia. It is so sad. I have seen the houses with the red X to be demolished, I have seen the bicycle shop that we thought would never relocate and we have seen the steam coming up from the ground.We have watched every documentary and films about Centralia. My Prayers go out to all the people who once called Centralia there home. Can i go visit this place or would i get arrested if i.do ??? 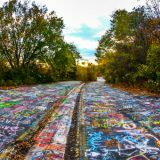 You can visit Centralia without being arrested as long as you don’t walk on the Graffiti highway. A resident complained to PennDOT about all the tourists and the mess that some make, so PennDOT decided to enforce no trespassing. The Cemeteries are open during daylight hours and the Russian Orthodox Church is still there. It’s not easy to find anything there so do homework reading the history and the few maps that are available before you go. David DeKok gives an excellent tour and his tour and book are the best way to see and understand Centralia. Slow Burn, Renee Jacobs’s book is also excellent. As of February, 2018, that has been lifted since the state handed over the Graffiti Highway to a private owner, finally realizing receiving property tax money is better than taxpayers paying for it. Maybe they will smarten up and allow the town to be rebuilt. One can hope. I went to visit centralia today. We got the chance to speak with one of the residents. I forget his name but on his mailbox said L. Mervine. He was very friendly and happy we stopped to speak. We thought he wouldn’t want to be bothered since Centralia is now a “tourist” attraction but he said nobody ever stops to speak. I was so happy we did. Anyway I was wondering if there was anyway we could mail him anything? I’m assuming they don’t receive mail in Centralia so they probably have a P.O. Box? I did look up the name and it says he was the mayor? However he was not the mayor and look more in his 70s? I’m assuming maybe his son? 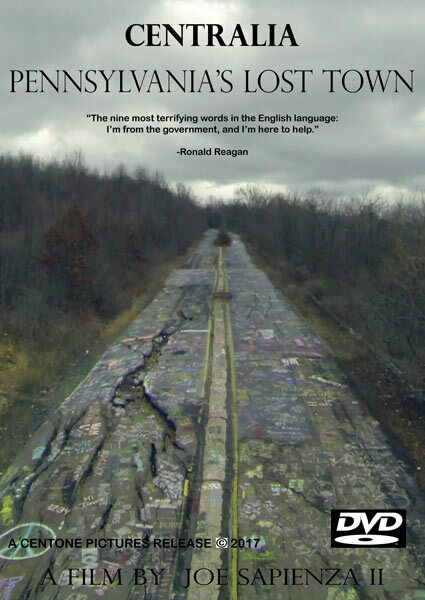 My wife and I are planning a trip up to visit Centralia next month and also to catch the new documentary, CENTRALIA, Pennsylvania’s Lost Town. I would love to meet John just to say hi and shake his hand. We live in North Carolina. Forever emblazened in our memory. 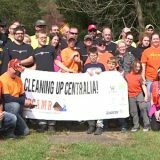 People of Centralia gave their lives working hard to form our great nation. We will not forget the sacrifices you made and will remember you every Memorial Day celebration. Best hopes, wishes and prayers, the only consolation most can give to those who remain. The survivors bearing so grievous a travesty, your suffering will not be in vain. Making sure your legacy goes on forever. It’s interesting how people speak of dedication and devotion of John Lokitis Jr. Having again watched the documentary ‘The Town That Was’, I know I would be sad to lose my home town, and would still be visiting it to this day were that to have happened to me. I would want to remember the happy times, but I would be visiting it, not living in its ashes. I’m not sure ‘dedication’ and ‘devotion’ are the right terms to use. The rest of the town it seemed moved on and created a life and a home elsewhere. The impression I got from watching the documentary was that John couldn’t bring himself to recognise or accept that the town was gone. It was as if one day he woke to find everyone had gone and he was still there, waiting for them to return. It must be so difficult to lose the town you grew up in, to see all the hard work lost, have family buried there and almost no sign of the town’s existence remaining to stand as a monument to their lives. But living in the past is a sad existence full of longing for a time that can never be regained, nor will this longing undo all that’s been done. Seeing a tragedy like this, with a fire burning on this scale beneath a town, and see the town demolished as a result of incompetence and cost-saving is shameful. I don’t doubt that removing the existence of the town helped to ease the government’s conscience – although eventually I can understand how there would be no other choice because of safety issues. I wonder what would happen here in England if something like this happened? I guess being a smaller country it would be harder to hide it. I hope John can come to terms with the past and finds peace in his new home. I still would like to know why john was evicted and his home demolished while others still continue to live there. This whole story grips me. I’m looking forward to more stories about this town. From what I know, John stayed in his Grandparents house. His Grandfather and John went to the court house when his Grandfather was still alive and put John as the owner. Pennsylvania did not recognize this and the people that lived there could stay until they died and then it was turned over to the state. The last time I was in Centralia, I think in 2015, I ran into someone who lived there. He is the one that told me this. 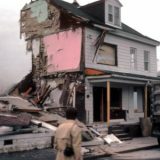 It was only about 6 months before that they tore down his Grandparents home. I give John alot of credit. I just watched The Town That Was and I’m curious why they cut all the duplexes in half, tore down the halves and built large supports for the remaining structures. Was this simply to avoid people moving back into the remaining halves? Seems like a ton of work when they were just going to tear down the whole structure eventually anyways. They should rebuild centralia and elect JOHN LOKITIS AS MAYOR!! I just watched the Town that Was Featuring John Lokitis,I just had to Find Out if the Town was still Burning after all these years,and I was Amazed that it still is to this Day. I am from Australia and have Never heard of this Sad Story. I was also very interested to see if John still lived there and was Sad to hear that he was Evicted from his Grandparents Home. I feel so Sad now After seeing this Documentary. God Bless Everyone who still lives there,and Everyone who had to move away. I’m sure that you have Many Treasured Memories to Hold close to your Heart. Even for someone as myself, living so far from Centralia (I am writing from Barcelona) it is difficult not to feel a special attachment to John and his feelings for a hos lost hometown. It is heart breaking to imagine yourself looking around and trying to keep the good memories when so much is gone. Amazing guy, incredible story. My best wishes to him. It sounded to me that the last official owner of the house was John’s Grandfather, and that he tried deed John the house after the state had already took over. John’s grandfather would have been allowed to stay had he still been alive like the other residents who still live there, but once they are gone they are not allowed to pass on the property to someone else. I believe that was the reason John was evicted. The right to live there died with his grandfather. I am always fascinated by how people can make such shallow assumptions and negative criticisms about people they have never met, or even had 2 minutes time to speak to. I definitely would apply the terms “dedicated,” “devoted,” and “loyal” to the determination of John Lokitis to keep as much of Centralia’s spirit alive, such as the Christmas decorations he lovingly restored. As for his staying in Centralia, I think any criticism of that is meaningless, really. And none of us know why he did it. We cannot label it. What can only guess. We each do what we can to follow our life’s purpose. In his eyes, I could see the love for his family and the history they had in the town. Maybe his purpose at that time was to hold still the memory and spirit of Centralia. Maybe otherwise the story would not have been seen by so many others who have been provoked to think of their own family, history, roots and legacy. Solitude and silence can yield so much more than harried occupation. It is likely his life was enriched by his choice to stay. In any case, it is good to see he has a family now. But I’m sure it must have been very difficult to lose his Grandparents’ home that he cared so much for. What a heart breaking story for this city and the folks who lived there. Such a loss. And such a lovely story of the young man, John Lokitis who kept such good and loving care of “his town and family”. I pray he is also surrounded with love, family and friends.